I’m happy to report that I’m back in my workshop working on many different projects! Unfortunately I haven’t any photos to share yet as I have really fallen behind since being ill.
On the plus side, I am feeling fantastic and full of energy so far this week and only have a nagging cough left … that , I can live with! I am currently working on finishing a primitive cabinet that is well over 100 years old. It doesn’t belong to me but again … as with all projects … I wish it was mine! I am also working on repairing a piece I did earlier this summer that was a victim of being in the heat … bubbling paint :( soooooo sad! Hindsite is 20/20 when considering the finish for this piece now! One more upcoming project I will be working on is a child’s rocking horse to be gifted to a small gentleman for his upcoming first birthday! It is soooo cute! 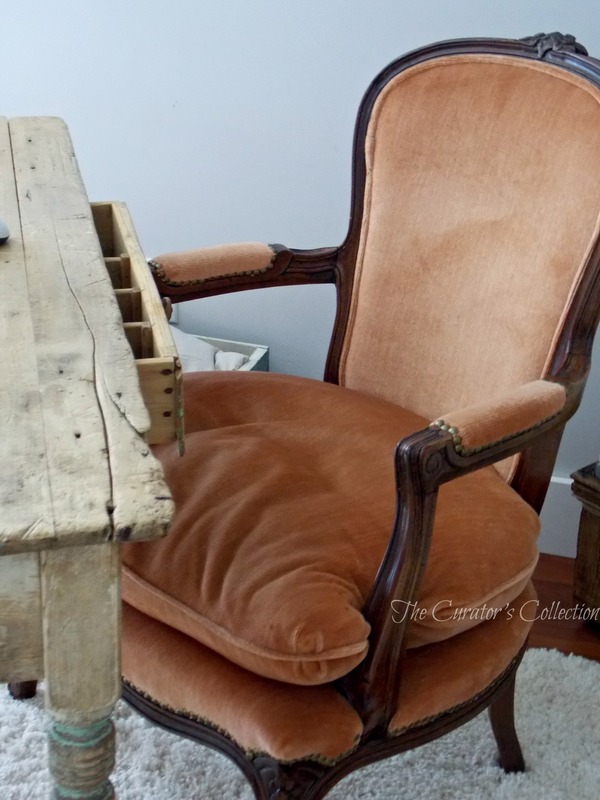 And lastly … there is the tutorial I promised for upholstering a chair. So many projects! So little time! Please stay tuned for these projects I hope to share them with you soon! I hope you will join in on my Making Broken Beautiful Furniture Party beginning tomorrow at 6:00pm (MST) I can’t wait to see what you’ve been up to! Thank you for making last week’s party such a success! See you tomorrow!